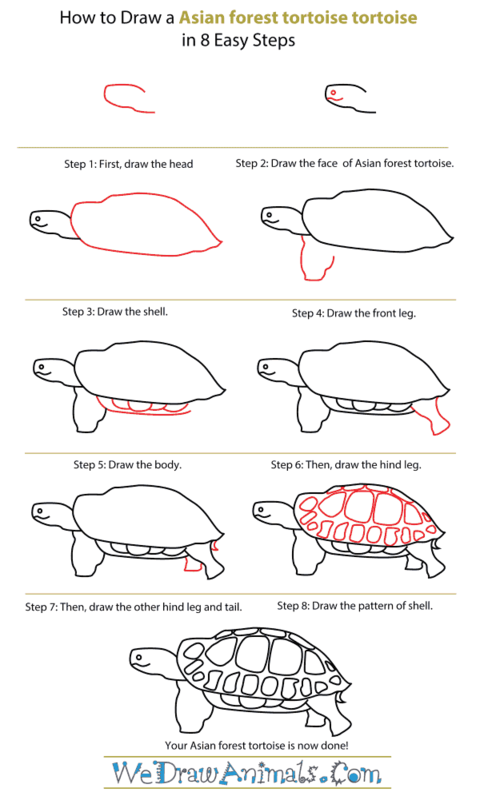 In this quick tutorial you'll learn how to draw an Asian Forest Tortoise in 8 easy steps - great for kids and novice artists. At the bottom you can read some interesting facts about the Asian Forest Tortoise. 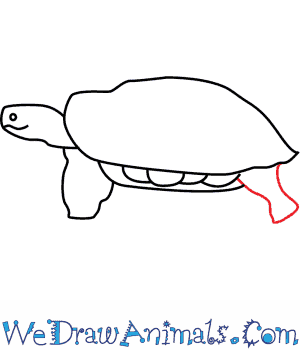 Step 1: A tortoise is a turtle that lives on land. An Asian Tortoise lives in Asia. 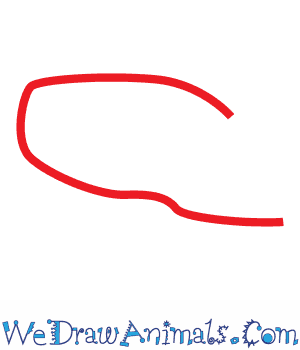 To draw one, start by making a squashed 'C' shape with the bottom being longer than the top. This will form the tortoise's head. 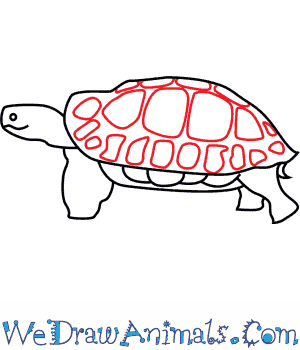 Step 2: Add an eye and a squiggle for the tortoise's smile. 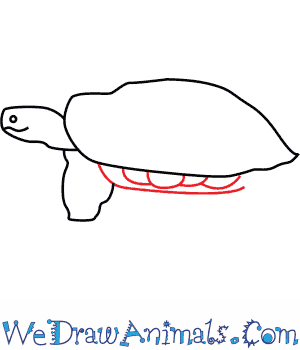 Step 3: Now, let's draw the shell! The tortoise's shell is it's home and keeps it safe from predators. You'll draw an oval shape with a pointy end. 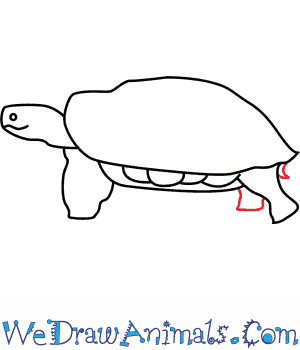 Step 4: Draw the tortoise's front leg. 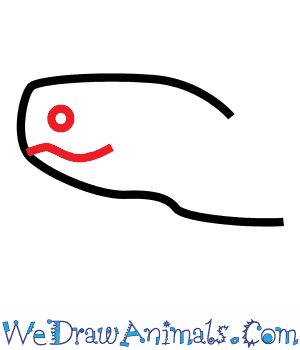 It will look a bit like a squiggly 'U'. Leave a small opening for the underbelly. 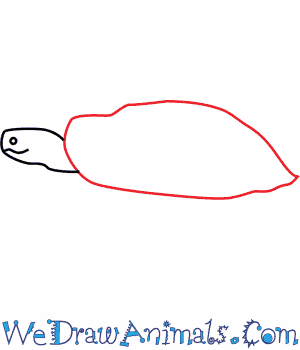 Step 5: To draw the underbelly, start at the leg and draw a line towards the tortoise's tail end. Add four small 'U' shapes to add texture. 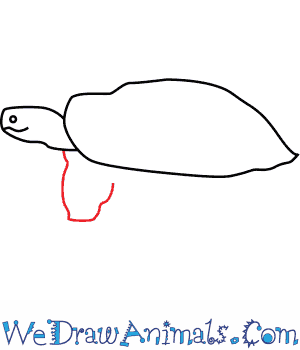 Step 6: Now draw the tortoise's back leg. Step 7: Next, add in a small tail, and a smaller version of the hind leg behind the first one. Step 8: Last, draw in a pattern on the shell using rounded sqaure shapes and ovals. Get creative! The Asian Tortoise is also called the Asian Brown Tortoise, because of it's brown color. 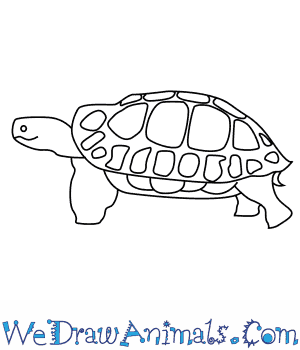 Feel free to color your tortoise brown, or any color you like! What would you name your tortoise? Asian forest tortoises are from Myanmar, Bangladesh, Malaysia, Thailand, India, and Indonesia. They can also be found in Vietnam, even though they are not native to that country. They live in forests and rainforests, near bodies of water. They are also known as Asian brown tortoises. They are herbivores that usually eat fungi, leaves, seeds, and fruit. They sometimes eat amphibians or worms. Asian forest tortoises are the largest tortoise species in Asia. They weigh between 44 and 82 pounds and are between 19 and 24 inches long. They are the only species of tortoises that lay and keep their eggs in nests above the ground. In the wild, their average lifespan is 150 years. In captivity, they live to be about 20 years old. The first time they were ever in captivity and bred by humans was in 1978 at the Honolulu Zoo in Hawaii. The population of Asian forest tortoises is considered endangered. This is due to the pet trade because they are considered an exotic and valuable pet. Also, people use them for medicine and food. Loss of habitat is another reason why their population is threatened. Their large size makes them an easy target for hunters.